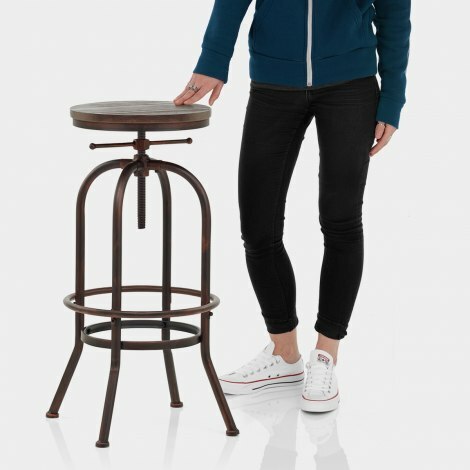 The High Machinist Stool Antique Copper is a factory-inspired model with impressive characteristics. Set at a taller height for higher worktops and bars, the High Machinist makes a style statement with its vintage warehouse appearance. A round dark wood seat delivers a rustic aesthetic and is also backless so it can be pushed under the bar after use. 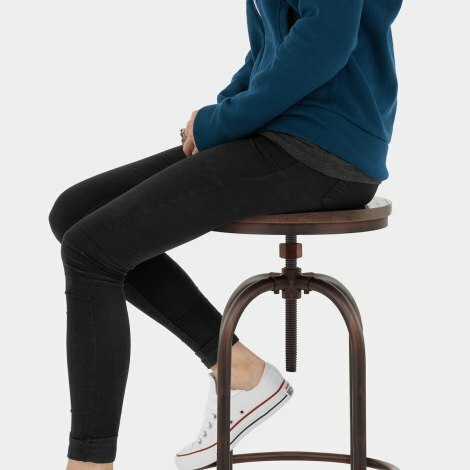 An adjustable height screw thread and 360-degree swivel are included so you can manoeuvre with ease and tailor the stool to suit you. The black steel frame has an antique copper finish that exhibits a distressed industrial look and includes practical features. Connected by a circular bracing bar footrest, each leg is finished with an adjustable foot and protective floor pad to help take care of your surfaces. "Great product, nice weight & quality great"
Always a great service and great quality products. Great product, nice weight & quality great, what you would expect. Price great too, easy to assemble & arrived quickly, in fact I’m going to order another.